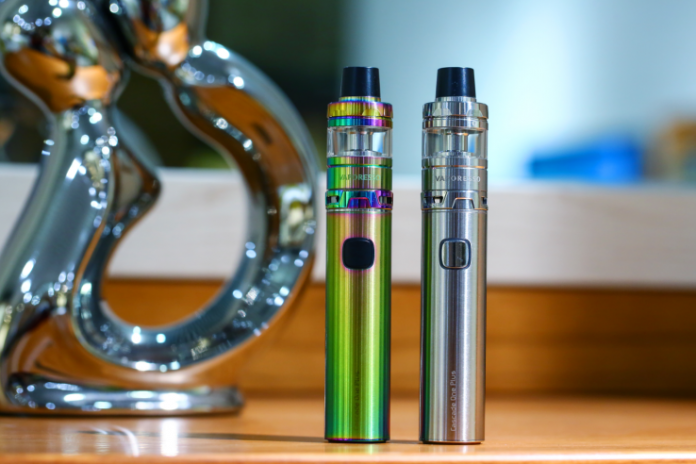 During their latest product launches, Vaporesso shifted their focus towards portable devices and starter kits. These kits are catered towards new vapers as well as veteran vapers. We recently reviewed the Nexus AIO and today we will climb higher on the ladder and look at the Vaporesso Cascade One Plus Starter Kit. Read on to find out what it is all about. From the time of its release until now, the Vaporesso Cascade took a short while to catch on. Early adopters praised its ability to produce exceptional flavor and thick dense vapor. Now, the Cascade is a widely loved piece of hardware. That said, it is no surprise that Vaporesso would build off that success. Any company would be smart to turn one product into many. The original cascade was a monster-sized tank, coming in at 30mm. With the Cascade One, the size has been reduced but the performance remains the same. Taking a first glance at the Cascade One, it appears to be fairly basic and, it is. Aside from the cascade tank, the battery or “tube” is quite basic and simple. The Cascade One Plus has a large fire button in comparison to other devices in its class. The Cascade tank is what stands out among all other things. The tank is a beautiful work of art. Available in a selection of 7 colours, users will have no issue finding one to suit their needs. The Cascade One is on the larger side of starter kits. Coming in at almost 140mm in height and 24.5mm in diameter. The feel of the device in the hand is closely comparable to holding a well-made mech mod. Following the original design of the Cascade tank, this features a triangular style airflow that is said to increase flavour and boost vapour production. If this Cascade One is anything like the original tank, the statement holds true. 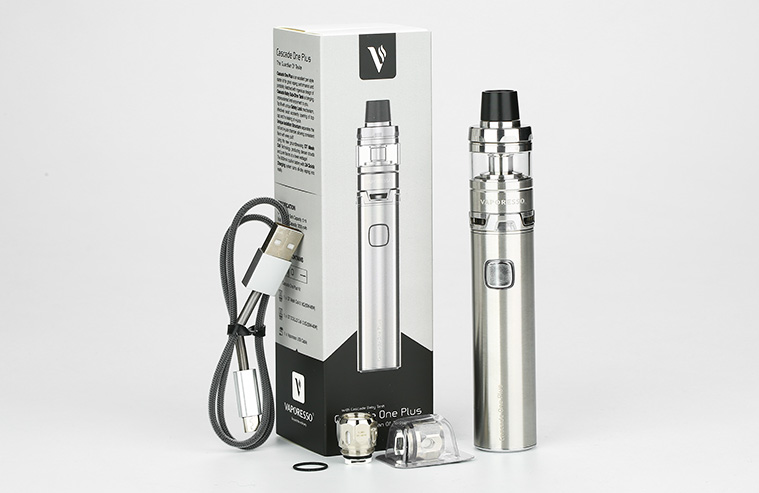 Overall, for a fairly simple device, the Cascade One Plus is very attractive, especially with the Cascade tank. Keeping in mind that the Cascade One Plus has no control features, with the included coils it performs as well as a device in the 60-100W ranges. This is partly due to the new GT-Mesh coils introduced. The power level rating for these coils is up to 90w. As the One does not have power control features, the device simply detects the coil resistance and fires at an appropriate power level. The GT-Mesh coils produce exceptional flavour and a very thick dense vapour. Compared to other cloud producing tanks on the market, this wins the race by a long shot. The other coil included with this device is a CCELL coil. These coils are a true ceramic coil which is advertised as being very porous and capable of producing exceptional flavour. Comparing both coils, the GT-Mesh coil wins the flavour race. CCEll coils are only rated for up to 40w so this coil is going to be best suited for the new vapers looking to get into vaping. The vapour produced is much less and should not cause any issues with new folks. Longevity of each coil will vary depending on many factors such as the type of e-juice and frequency of use. If you’re looking for a longer lasting coil, the CCell coils being made of ceramic should last slightly longer than the mesh coils. Performance overall is as expected for this starter kit. 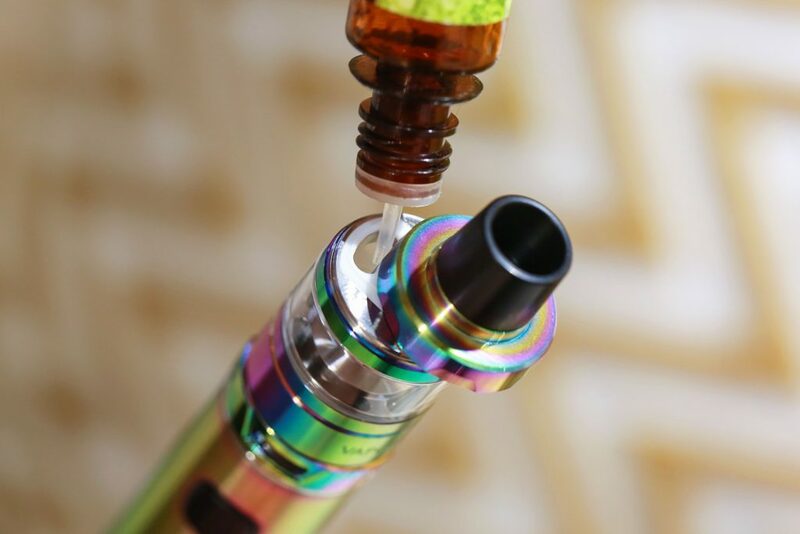 Compared to others currently available this one can be considered a bit more advanced and capable of supporting the needs of both new vapers and seasoned vets. Vaporesso never disappoints, not even when it comes to a low-cost item such as a pen style starter kit. A lot of companies will cut corners to make these as cheap as possible. Coil lifespan on this device vastly outdoes most other mainstream companies coils and the ability to produce exceptional flavour make this starter kit a must-have. Stay tuned for our review of the Vaporesso Cascade One, the smaller brother to the Cascade One Plus.